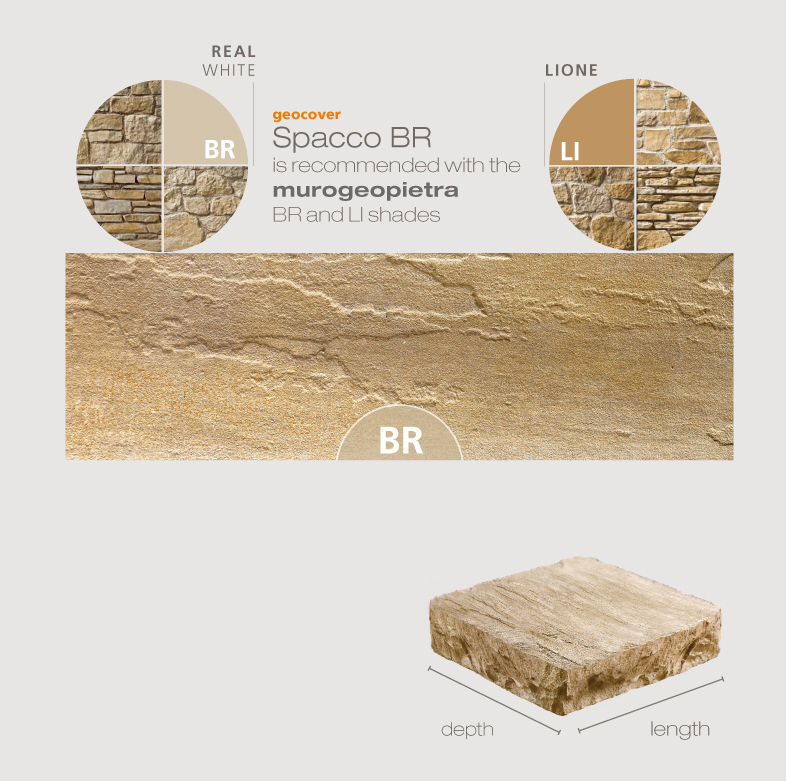 Geopietra is constantly changing and evolving and is now delighted to introduce the company’s new line, muroplus. 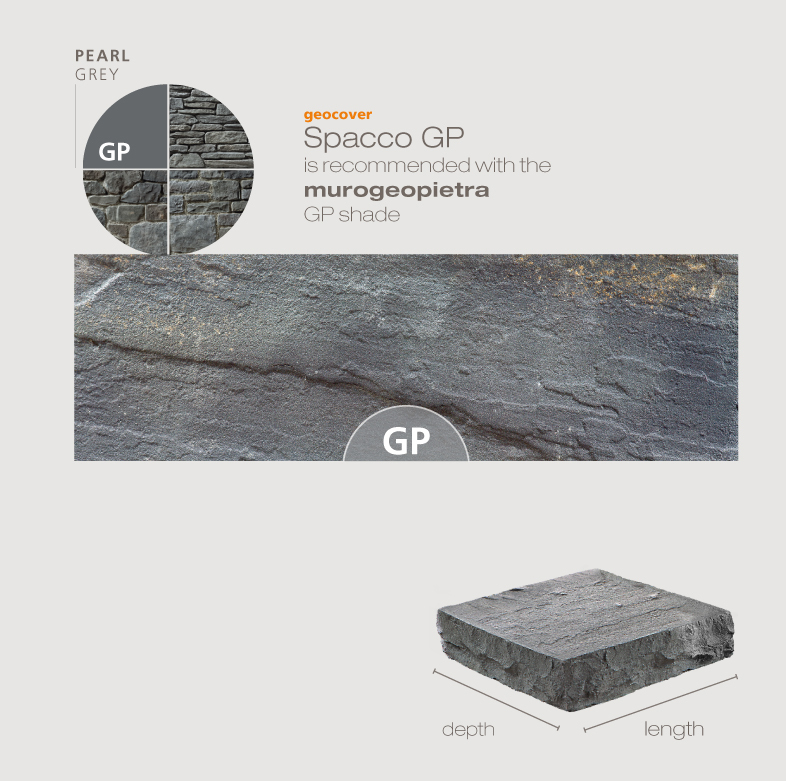 muroplus provides specially-designed accessories for finishing off murogeopietra solutions. 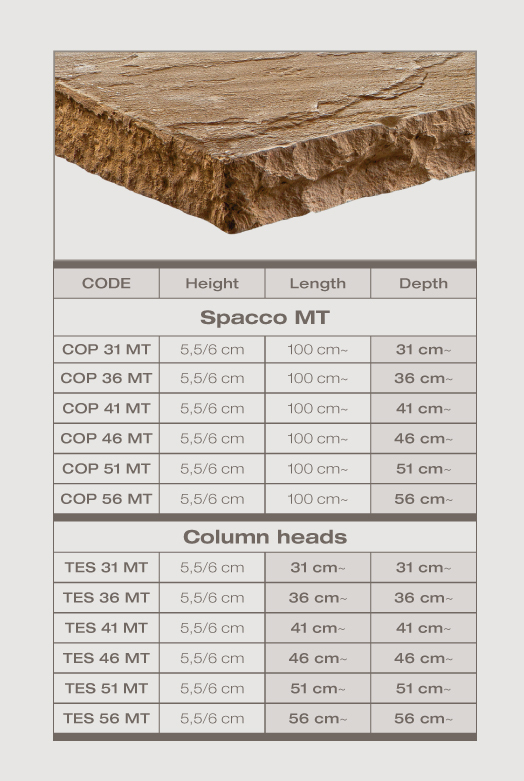 geocover is the main product in the new muroplus line and consists of coping that are designed and produced by the geopietra in-house department - geodo. 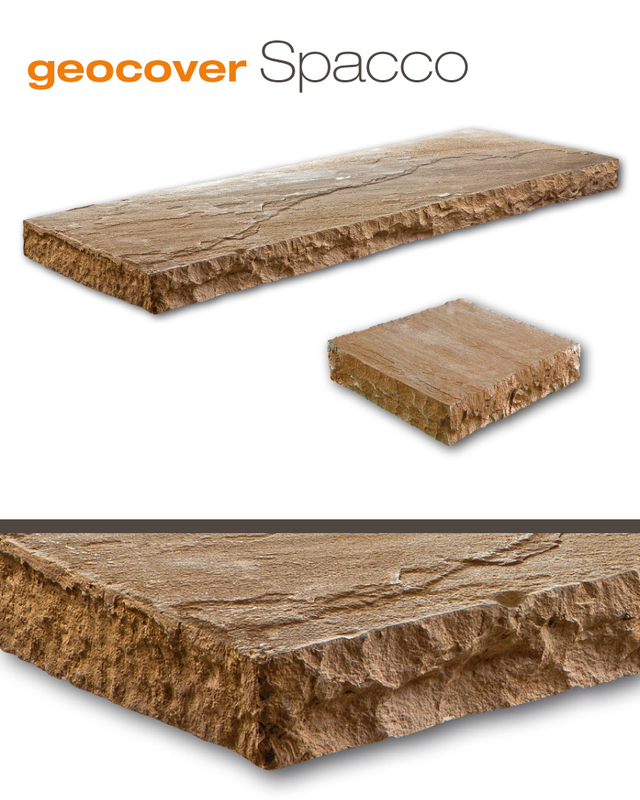 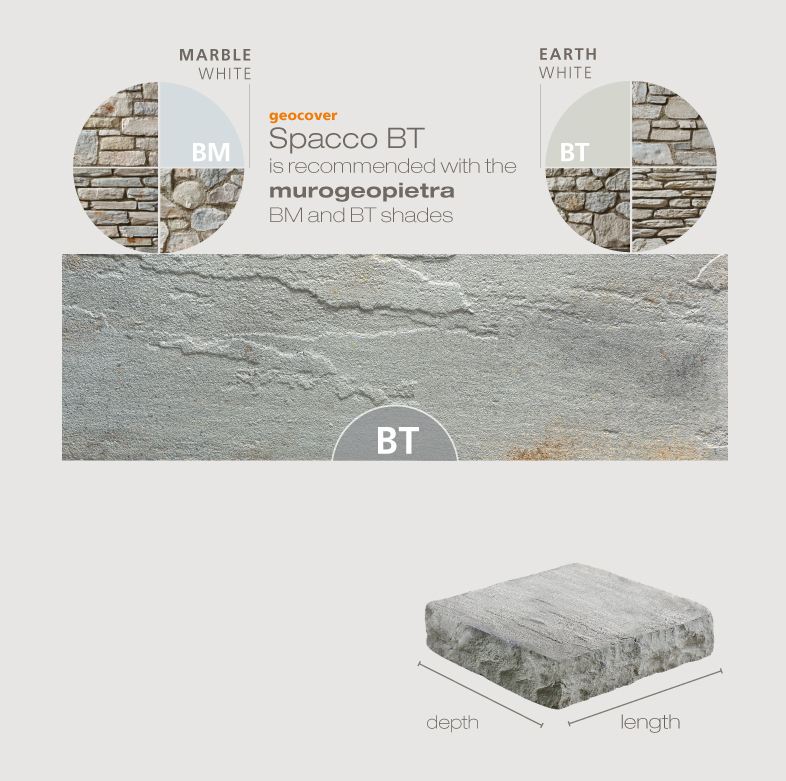 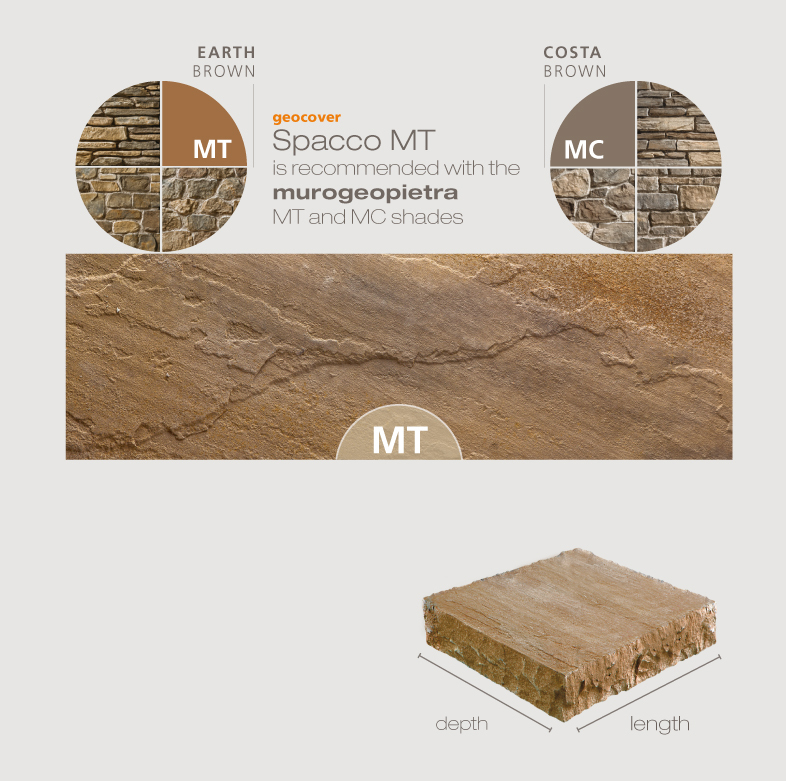 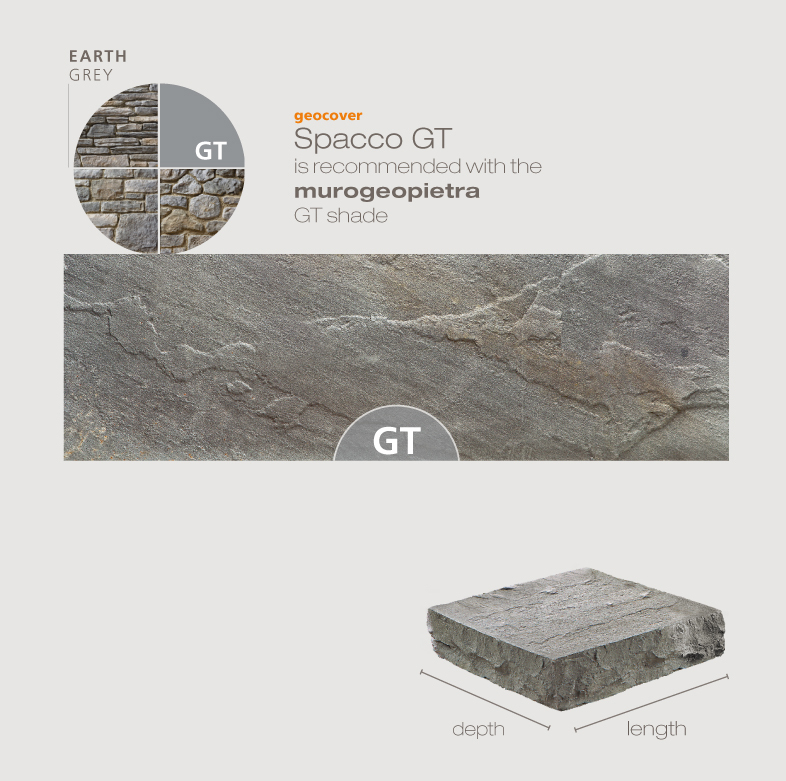 geocover offers the sophistication and authentic appearance typical of the geopietra style. 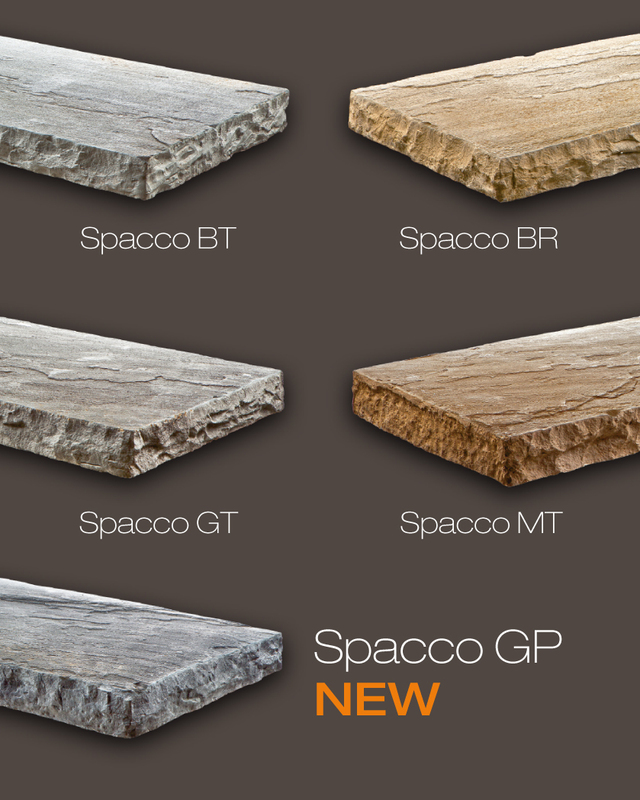 The cut of the natural stone and the finish have been reproduced perfectly. 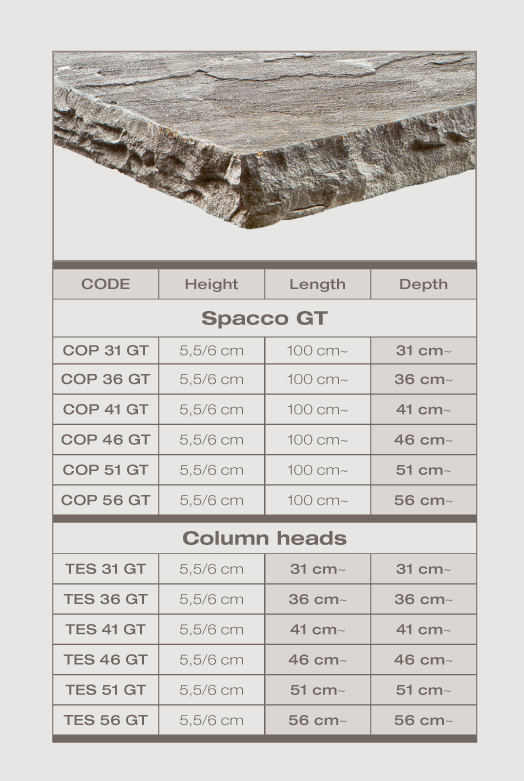 The Spacco model shown here, (with spacco literally meaning cut), takes its name from the typical process performed to chisel out the edges, whereas the surface has a natural finish. 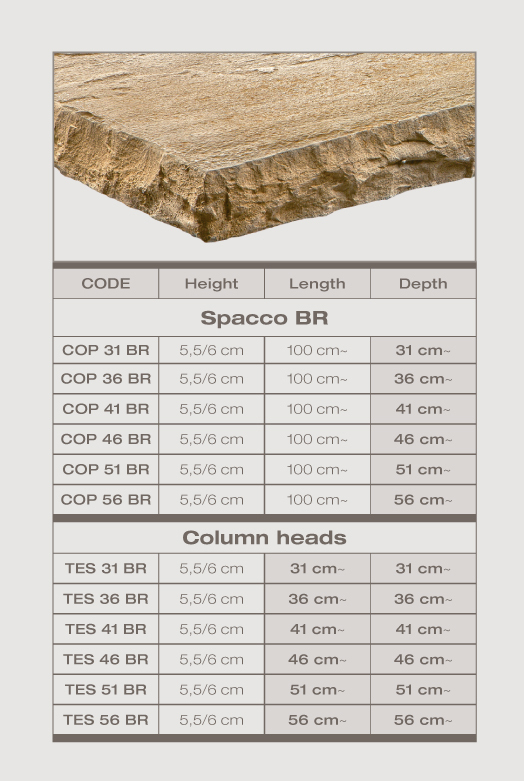 The mixture for this product contains selected rock granules and high-resistance cement with additives, reinforced with fibre glass. 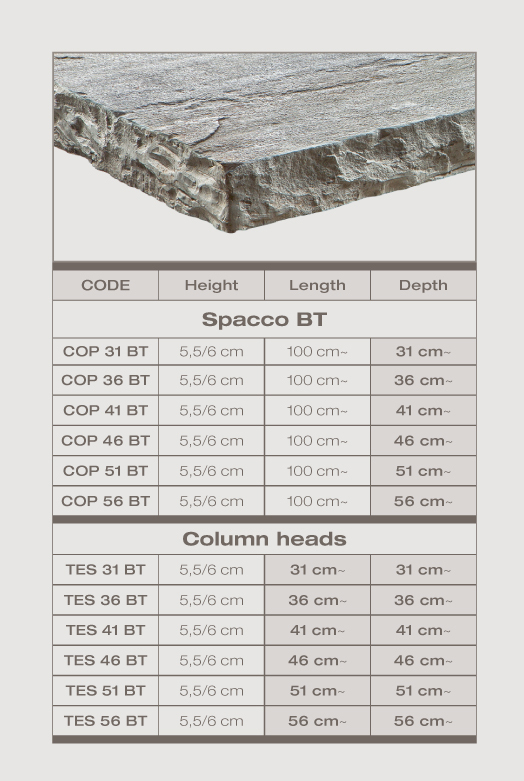 The coping for the Spacco model is finished off with dripstone of fixed height and length with various depths available. 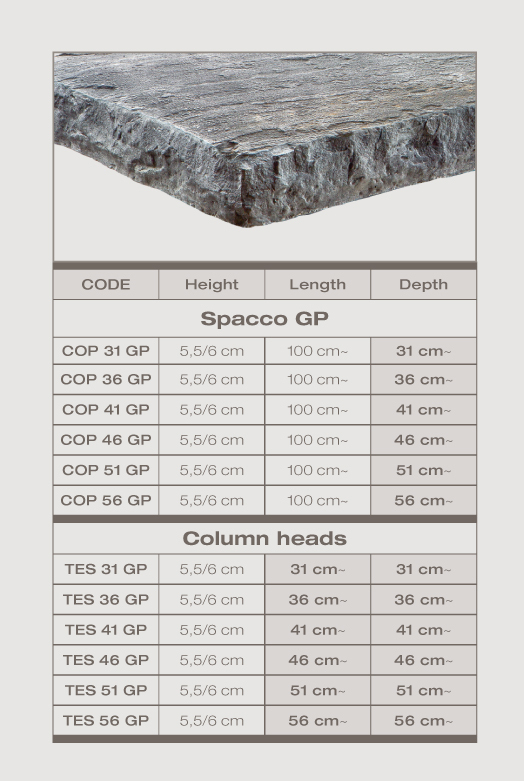 The Spacco model is complete with column heads.